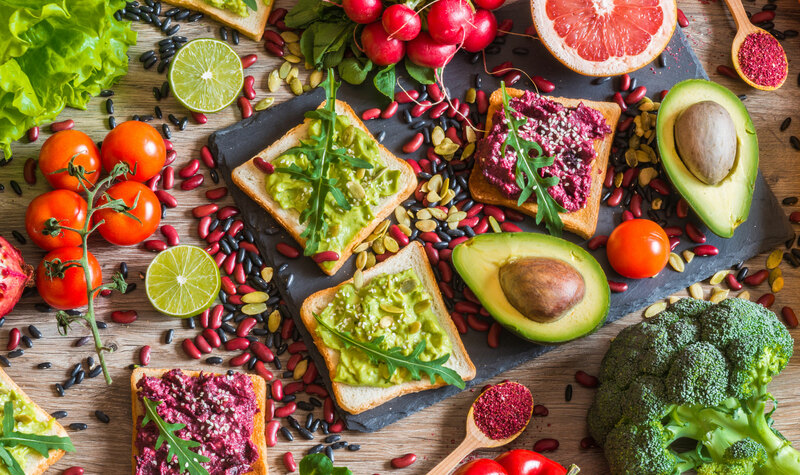 Professor Jennie Brand-Miller, director of the Glycemic Index Foundation, explains how to keep our blood glucose levels stable with delicious, healthy foods. Your body is incredibly complex and is finely tuned, just like a car, for peak performance. You are what you eat. Through the complex process of metabolism, energy is directed from the food you eat into fuelling normal growth, development and physical activity – or into storage such as fat. Blood glucose (sometimes referred to as blood sugar) is the most common kind of sugar found in the blood. It is the main source of energy for most of the body’s organs and tissues and an essential source of fuel for the brain. Your body prefers carbohydrates as the main fuel source for energy. When you eat carbohydrate foods such as breads, cereals, pasta, rice and fruit, your body converts them into glucose in the bloodstream. The glucose is absorbed from your intestine and becomes the fuel that circulates in your bloodstream. Why does blood glucose rise? Blood glucose level (BGL) is the concentration of glucose in the bloodstream. If you haven’t eaten in the past few hours (and you don’t have diabetes), your blood glucose level will normally fall within the range of 3.5 – 6 mmol/l. When you eat this will rise, but rarely above 10 mmol/l. When glucose levels in the blood rise after a meal, the pancreas receives the message to secrete a hormone called insulin. Insulin drives glucose out of the blood and into the cells. Once inside the cells, glucose is transported into various pathways – to be used as an immediate source of energy, or converted to glycogen (a storage of glucose) or to fat. Insulin is like a key that unlocks the cell door to let the glucose inside. Carbohydrates are an important part of your diet as they help keep your body sensitive to insulin and give you energy. They are also one of the biggest influences on your blood glucose levels. It is therefore important to be choosy about the type of carbohydrates you eat. Different carbohydrate foods will have dramatically different effects on your blood glucose levels. The tool to help you choose the right carbohydrates is the glycemic index – the GI. The GI is a ranking of carbohydrate foods on a scale from 0 to 100. The GI of a food reflects how fast its carbohydrates hit the bloodstream. It’s based on scientific testing of real foods in real people, in the state in which it is consumed. High GI carbohydrates break down quickly during digestion, causing your blood glucose to rise and crash. Low GI carbohydrates break down slowly during digestion, releasing glucose more gradually into the bloodstream. Choosing low GI carbohydrates is one of the secrets to long-term health, reducing your risk of type 2 diabetes and heart disease. It is also one of the keys to maintaining good blood glucose control. For ideas of healthy, low-GI swaps, check out the free Simple Swap tool from the Glycemic Index Foundation. Eat regularly – don’t skip meals. Most people find that their blood glucose levels improve if they space their meals and snacks evenly throughout the day. Make simple, low GI swaps. Eating the low GI way is simple – you don't need to count numbers or eat a low carbohydrate diet. It just involves swapping high GI foods for low GI foods in your diet. This could mean eating muesli instead of wheat flakes for breakfast, having low GI, dense, grainy bread instead of fluffy white bread in your sandwich, or choosing a fruit-based smoothie instead of a soft drink. Look for the GI symbol when shopping. This is your guarantee that the GI value stated near the nutritional information label is accurate and the food meets strict nutritional criteria. Keep carb portions moderate. Be aware of the amount you eat at one time. The amount of carbohydrates you eat is always going to be important for managing blood glucose levels and weight. Even a large portion of a low GI food will have a big impact on blood glucose levels! Follow the ‘Healthy Eating Plate’. The plate guide suggests ¼ of the plate should include healthy low GI carbohydrates, ¼ of the plate should include lean protein foods and ½ the plate should be salads or non-starchy vegetables. This is used internationally as a practical tool to help you translate dietary guidelines into planning healthy meals. Have low GI foods in each meal. Try to eat at least one serving of a low GI carbohydrate food at each meal using this plate guide. This will help promote nutrition balance, appropriate portion sizes and help lower the overall GI of your diet. Make time for exercise. Aim for 30 minutes of walking or equivalent. Being physically active every day will help improve your blood glucose levels and general health. Learn more at the Glycemic Index Foundation. Professor Jennie Brand-Miller is director of the Glycemic Index Foundation.